It had been at least 4 years since I last watched Darren Aronofsky’s classics ‘Black Swan’ and ‘Pi’ so I thought it would be a good idea to set a weekend aside to revisit both of them and gauge how different, if at all, the overall experience would feel like. Aronofsky designs “experiences” for the audience and recently at the Hollywood Reporter Roundtable he candidly mentioned how he loves creating “genre moments for audiences”. He wouldn’t even have to say that because this is evident in all his works. Also, the beauty of his films is that they never quite sit in one particular genre (he speaks about this too). It’s extremely hard to find the exact point (I’m quite sure that would be a boring and mundane exercise if ever attempted) his films glide over from one genre to another. As I come to think of it, I think ‘Requiem for a dream’ was the first ever Darren Aronofsky film I watched. It might be his best film, though I don’t quite have a choice for this title. I was awestruck by his vision and to this day I think it’s one of the greatest cinematic achievements of all time. So, let me get on with it. I’ve revisited this film at least 5 or 6 times so far, to this day. Strangely enough, I am still surprised by it. With Darren’s films, you just don’t know what’s going to come your way. The marriage of music, visuals and story bring out this extremely convoluted and ambiguous experience that you don’t quite know what to make of. What does the character actually want? What is getting in his way? ‘Pi’ is actually so intelligent that it keeps you busy enough to not bother about the plot. Aronofsky moves you emotionally and sways you from point to point while reminding you that cinema is largely about the experience and not a well defined story. In the film, there’s often a “problem” mentioned and then it is discussed and dissected until you’ve had enough of it (sometimes you don’t) and then you might wonder, “what’s the larger purpose here?” Before you get enough time to evaluate that, something else hits you and this cycle keeps on repeating. New information, new ideas, new thoughts and so on. You’re so caught up with it and before you know it, the character reaches a point of no return. A thin story line lies below but this becomes somewhat clear to the audience only towards the end. Somewhere in the third act, there are important philosophical questions brought up that really make you scratch your head. So this time when I watched the film I wondered, was Aronofsky suddenly so fascinated by all this “information” and “ideas” that he chose to make a film about them? Or was it to make a film about a character who has quite certainly, lost track of everything around him and is just buried into a world of mathematics and eventually religion and philosophy? It’s frankly, very hard to tell. ‘Pi’ is so “well rounded” that you can’t attribute the director’s interests to one particular thing. It’s a cumulative factor made up of numerous elements, some that we can’t even notice. I think this line is repeated 3 times (after a few revisits you could end up with such derivations). Frankly, it’s such a plain and simple line but there’s something very attractive about it. It sums up who Max really is. We understand that he is a rebel, he has a cause, he is interested in nature and he is not bothered by how nature could harm him. All these character traits are seen throughout the film and they are brought to the surface by the use of this excellent line of monologue. The characters of Marcy Dawson and Sol are less talked about. Towards the start of the film, we could assume that Sol is what Max wants to be. Sol, however, is “wiser” and the wisdom comes from having already done what Max is doing right now. It’s all about numbers and derivations. It’s about pushing machines to their limits. It’s about what numbers mean in the larger sense. Marcy Dawson reminds me of the TV show Ellen Burstyn’s character aspires to be on in ‘Requiem for a dream’. It’s just that tone of voice and how Aronofsky uses it to “cut through the chaos” and the frequency of the same simply adds to the chaos. In the film you see Max struggling (in every sense of the word) to find an answer. He even suffers physically and so does his machine. His neighbour knocks on the door, he doesn’t answer. During times like these, he gets a call from Dawson and she talks in a tone of voice similar to that of someone trying to sell a product or a service via a telephone. It’s this peculiar tone of voice that is maintained throughout the film. If you study the film closely, you see that every character has a peculiar tone of voice / accent / way of talking. All this adds to the tone of the entire film. These are important to how the film “feels as an experience” and for a first time director, it’s commendable. I couldn’t begin to imagine what watching ‘Pi’ in the 90s must have felt like. I know it was rejected and hated on by a lot of people and eventually it turned out to be an indie classic. Darren Aronofsky deserves a lot of credit for sticking to his guns and never changing his voice for the Producers of his films. He has his ideas, that are hard to test. Even his films don’t test. There’s always a division over his films not just amongst the critics but also amongst the audiences. For me however, all his films are special. He offers us thrilling, brilliant independent films sometimes with star casts you would never see in “indie films”. He is well aware of how his movies could be “an assault on the senses” a quote used for his recent exceptional film ‘Mother!’ (That I was lucky enough to watch on a big screen TWICE in two days). Probably Aronofsky’s most successful film commercially (not sure). I can make this assumption because it is certainly his most talked about film in recent years and in that aspect it is on par with ‘Requiem for a dream’. Interesting quote by Aronosky on the movie is “Ballet fans don’t like horror and horror fans don’t like ballet”. This one line could be used to gauge through all of Darren Aronofsky’s films. He has always tried to “subvert” genres and “cross over” and he does this so brilliantly that the film as a whole is it’s own type of unique blend that quite certainly hasn’t been watched before. Natalie Portman has given us spellbinding performances over the years, right from her child actor days. This might be her best ever performance. I also think the recent film by Pablo Larrain ‘Jackie’ (also produced by Darren Aronofsky) was one of her best. There’s obviously a long list of performances by Portman pre ‘Black Swan’ that could be strong contenders for the title. The film starts on a beautiful and subtle note. There’s a breakfast scene somewhere in the beginning and you see Nina talk to her mother. There’s a cute round of laughing that follows. Sometime later, Nina takes a train to work and things begin to wobble. Darren Aronofsky and Paul Thomas Anderson are probably the best working filmmakers when it comes to “shifting” or “changing” emotion rapidly. ‘Black Swan’ really is a rollercoaster ride. It’s impossible, just impossible to get your eyes off this movie even for a second. You are so involved that you become Nina. You feel what she feels and you start anticipating danger the way she does. Jealously and insecurity are crucial emotions here and Aronofsky preys on them very intelligently. It’s not just jealousy on Nina’s part but also on the others. The concept of “the darker side” is what keeps Nina on the edge. Vincent Cassel’s performance is so good, at times you just can’t pin point his motive. Nina initially believes she can embody both the swans but Cassel’s character Thomas has doubts about the “Black Swan”. He doesn’t find her to be seductive enough. What happens over time is a transition on Nina’s part. The way Portman chooses to embody this transition is applaudable. Nina in the first half of the film is not the Nina in the second half. It’s one of the smoothest character transitions in film history. You can’t begin to imagine how hard it must be when you’re playing a ballet dancer and are required to cross over emotionally while also having “episodes” at frequent intervals. Let’s say you’re playing the character of a gangster like the ones in ‘City of God’. The transitions are quick and rather simple because a large part of it is “understood”. When you’re dealing with such a fragile and subtle world, it’s extremely difficult to understand just how you would have to be two different persons over the better part of 2 hours and make that transition seem justifiable and smooth. All the nuances you attempt will be exposed. Every move will be noted and every emotion will be remembered. An unsaid message could be, yes we do. Nina had a darker side she wasn’t aware of. Her behaviour and overall demeanour changes as she starts grappling with the character of the black swan. She is not the same person anymore. She doesn’t become an easy person to be around. But she has a goal. A goal she is extremely insecure about. Darren Aronofsky’s films are often a carefully managed mishmash of a lot of things. A lot of emotions, a lot of thoughts, ideas and feelings. They almost always start at a point and go to a point you couldn’t ever imagine. During the process of this, you don’t get the time to guess “Where will this go?” Because you are extremely involved with the character. Aronofsky’s films are always miles ahead of it’s audience. Looking at his filmography, it’s the same as watching each of his films. You just don’t know what he would get his hands on next. Here’s looking forward to many many many more Darren Aronofsky films. 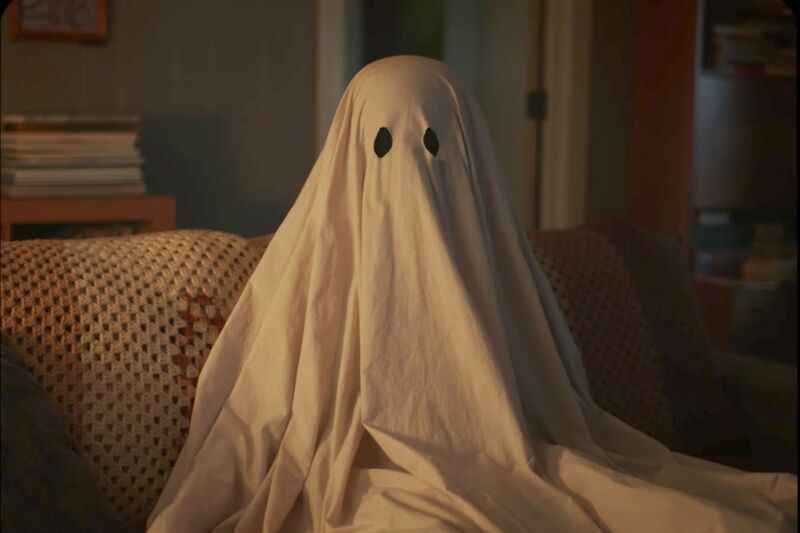 There was something about the first look of A Ghost Story that was so brilliant, I couldn’t wait to watch the film. Everything seemed minimal, well designed and in some ways like a painting. After waiting for the film for quite a few months, I finally had a chance to watch it. I was awestruck. The film blew me away. David Lowery’s imagery is thought provoking and extraordinarily immersive. The film is simply fascinating. Anything more than that brief ^ would be giving too much away. Lowery uses long takes, gorgeously designed shots, incredible silences and creates a truly immersive experience. Needless to say, we are mostly watching the film from the Ghost’s point of view. 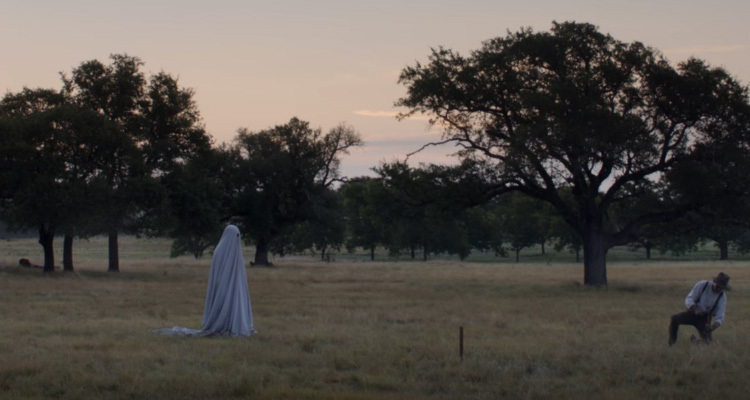 Lowery’s depiction of the wandering ghost is so compelling, it forces you to think and rethink a lot of theories you might have heard about ‘life after death’. The film is far from a horror. It’s more of a fantasy, drama and in some sense, a journey movie. Needless to say, the film is thoroughly original in it’s entirety. There’s a scene quite early in the film between the Ghost and Rooney Mara that for me, was on par with some of the best scenes from Spike Jonze’s Her. The strangeness, mysteriousness and ambiguity used to establish such an emotional connect has been done so brilliantly only a few times in modern day cinema. 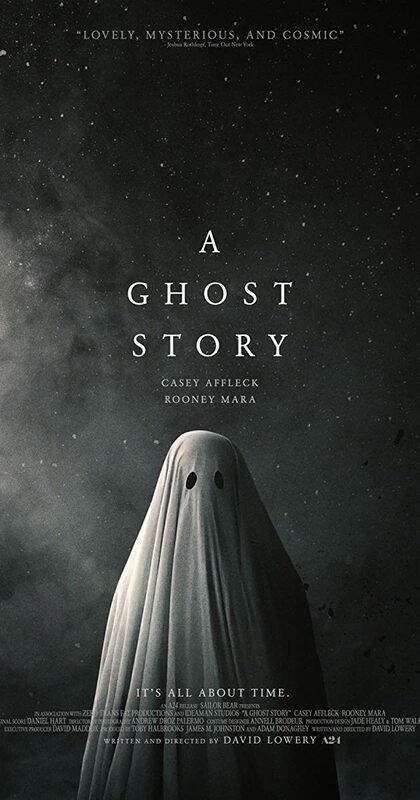 A Ghost Story is a modern day masterpiece. David Lowery has created something so fascinating and original that it will be remembered as a benchmark indie film for years to come. To this day, the mystery behind Peter Weir’s Picnic at Hanging Rock, an Australian Classic, remains… well, a mystery. Joan Lindsay, the novelist on who’s book the film is based, is one of the main reasons for all the ambiguity. Her descriptions left it unclear whether the film is based on facts, or is entirely a work of fiction! For all it’s hauntingly beautiful imagery, impeccable tonality, breathtaking treatment surrounding a discomforting subject, Picnic at Hanging Rock remains a great favourite of mine. Web-based critic Kevin Maynard had said, “The film is just too damn impenetrable for its own good,” and it could not have been said better. It’s extremely hard to make a “mystery movie” that leaves just the right amount of questions unanswered. Peter Weir and his DP Russell Boyd make each frame look and feel like a painting. The entire incident could be perceived as a gorgeous, beautiful, hot, sunny day out…until it was. From start to end, the film is stunningly shot. At times, Weir uses close ups in slow motion. It’s an assurance, you will never forget these images. Never. “We worked very hard at creating an hallucinatory, mesmeric rhythm, so that you lost awareness of facts, you stopped adding things up, and got into this enclosed atmosphere. I did everything in my power to hypnotize the audience away from the possibility of solutions.”, Peter Weir told Sight and Sound. Whenever I read about this film, I find it quite puzzling how not many (or not enough) people talk about the score. It’s the evocative score, in correlation with that stunning imagery and Weir’s direction, that makes this film what it is. Joan Lindsay infamously “fuelled the fire” when it came to answering questions about the mysterious incidents that occurred at Hanging Rock during the 1900s. All of her descriptions about the story, leave loopholes. Obviously, these are intentionally left for your mind to run around in circles but I must say, there’s a beauty to that. According to a website, Lindsay made sure the final chapter of the novel only released after her death. In that she explains whatever remains answered. However, according to readers, her conclusions to the story are woven in an even greater ambiguity. What a writer. What a film.